Can both sides come together to end the government shutdown? Gordon Deal talked with Congressman Jim Banks about why he supports the President on the issue of border security. Can both sides come together to end the government shutdown, Clemson routs Alabama to win College Football's National Championship, and why you don't have a food allergy. Listen as Republican U.S. 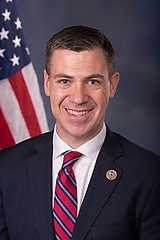 Congressman Jim Banks from Indiana tells Gordon how President Trump needs to be harsher in his dealings with Russian President Vladimir Putin. Indiana Republican Congressman Jim Banks explains why releasing both FISA memos is the right thing to do. Rep. Jim Banks (R-IN) breaks down why he feels we need tax reform. Former FBI James Comey to testify to Congress, Republican Jim Banks on the debt ceiling, and the highest-paid athletes in the world. Democrats and Republicans say the timing of James Comey is suspicious, Aetna to pull out of all Obamacare exchanges, and why dads don't take advantage of paid leave. 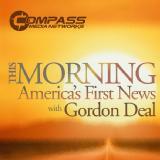 Gordon Deal talks with Indiana Congressman Jim Banks about his questions surrounding the firing of James Comey. 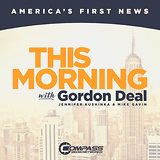 Gordon talks Trump, Travel ban and more with Indiana Congressman Jim Banks.